First off, I wish to thank my readers who’ve trusted my articles since the beginning. I pride my articles in the fact that I provide factual (as well as opinionated) evidence for everything that I write about. In order for a handgun review to be legitimate, the person writing the review needs to have first-hand experience with what they review. I decided to write a review of the Glock 19 Gen 4 for two reasons; it’s a very popular handgun model, and I feel like you need to learn the truth regarding them. Glock has been around since 1963 when it was founded by Gaston Glock, and has been an outstanding company with great products ever since. In 1981, the first Glock handgun was born, along with their revolutionary “Safe Action” system. In 1982, the Austrian Army awarded a contract to Glock after an international competition for the contract. The rest after that, is history! Glock handguns haven’t always been perfect. In fact, they have a very dark history that almost ended the Glock industry’s reputation altogether. 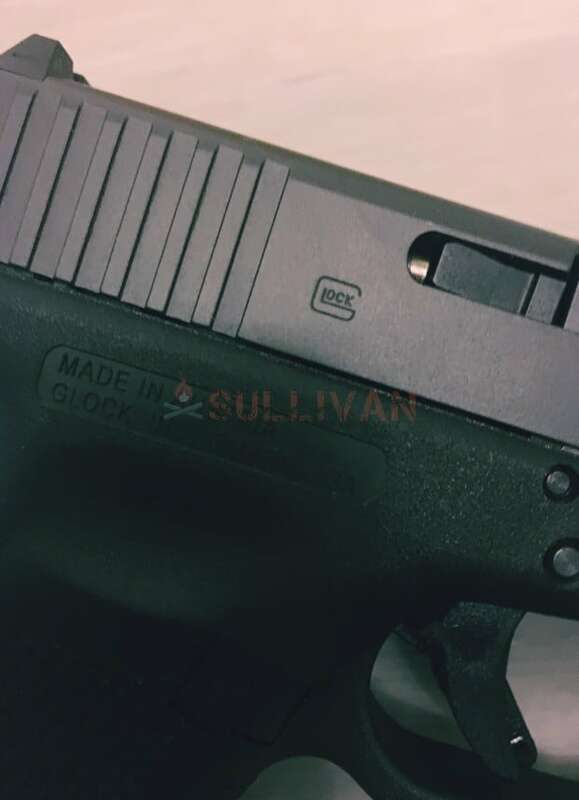 In the early stages of the Glock 17 Gen 1 (and even some Gen 2’s), the handgun had a tendency to discharge a round after being loaded on its own. This caused major speculation as to if Glocks were safe altogether, and almost brought the quickly-growing industry to its knees. After major modifications to their trigger assembly, as well as their striker system, new Glocks began to hit the market. This ended up being their saving grace, because the consumer market loved the modifications. Growing up, I’ve always been around Glock handguns, because my parents were both police officers. Because of this, I’m naturally biased towards them to start with. Every handgun needs to be judged by three major categories; durability, dependability, and compatibility. Without having positive reviews, and features for all three, the handgun isn’t worth purchasing in my opinion. A big mistake that handgun owners make, is they read one review regarding a handgun that’s mostly opinionated (but flashy) and decide they want it because it looks cool. In this article, I’ll provide you with first-hand feedback of my Glock 19 Gen 4, along with pros and cons. Glock barrels and slides are made of quality steel that is treated with a special “Tenifer” process. This process enriches the steel with oxygen, thus sealing the pores of the steel. After the process is complete, the steel is more resistant to corrosion as well as strengthening it. Glock slides and barrels are as hard as an industrial diamond on the Rockwell scale, making them extremely durable. Glock frames are made from an extremely durable polymer that is stronger than steel, or aluminum, but is lighter than both of them. The Glock frame is immune to corrosion (because they’re not made of metal), as well as lubricant and solvents used for cleaning. The best part about Glock frames, is that they can withstand up to 400-degrees Fahrenheit of direct heat. Most users refer to Glocks as “indestructible”, and rightfully so (though, nothing is completely indestructible). There are a lot of amateur “stress test” videos on YouTube for handguns, including the Glock 19 gen 4. A lot of these tests are done in such a manner that would never be seen in the real world if you take care of your handgun, and have decent weapon-retention. Most of the tests I’ve seen involve dumping dirt down the open slide. In what alternate reality would you ever carry your Glock with the slide open, and then proceed to jam dirt into it? Don’t fall for amateur stress tests, they’re idiotic and should never be allowed to make videos again. At the bottom of this article, I attached a video of me shooting the “Three-Mag Distance Drill”. This was at the end of my 550-round stress test (with sub-par Remington 115gr 9mm FMJ ammunition). I successfully fired all 550 rounds within 45 minutes, and did not have a single malfunction. I must admit, I was a bit skeptical before conducting the test, because it’s rare to put that many rounds down range without having one single malfunction. After the test, I was truly impressed with not just the dependability of the Gen 4, but also with the overall performance. There’s a reason that Glocks are chosen by more than 60% of police departments across the United States (along with other countries). They’ve been proven to be dependable during stressful, and urgent life or death situations. One thing I love about Glocks, is their (updated) safety features. They do not have a manual safety, making them a great handgun for quick target engagements. It’s no secret that Glock handguns are very customizable for any owner who wishes to alter (or add attachments to) their model. 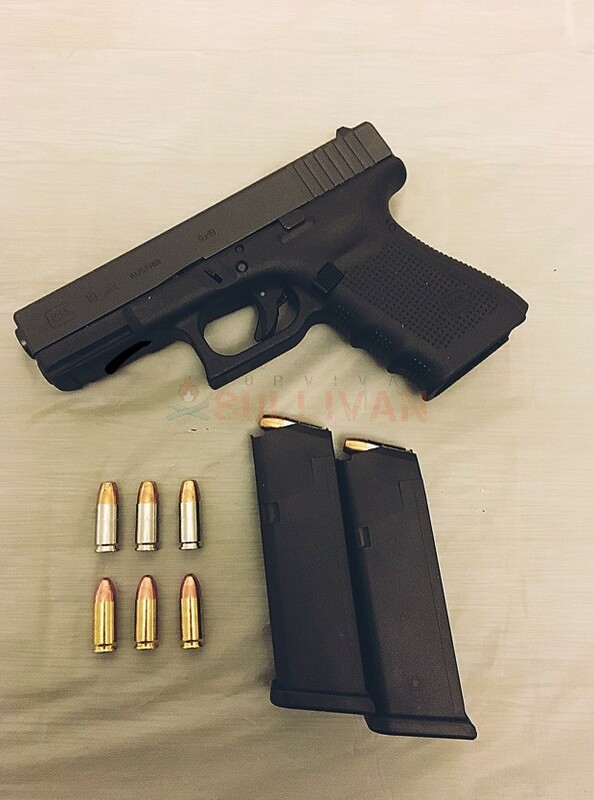 The Glock 19 Gen 4 is no different, most attachments that are made for handguns are available for use with the Gen 4. A great feature that the Gen 4 offers, is the backstrap that comes with each one (when you buy them brand new). The backstrap enables the user to customize the grip, making it slightly bigger to fit larger hands. The backstraps are easily installed (simply by clipping it onto the back of the grip). However, I’ve noticed that mine falls off easily. This could be an issue for shooters with larger hands that become familiar shooting their Gen 4 with the backstrap attached, and then the backstrap falls off. The Glock 19 Gen 4 is not as easy to conceal as more compact Glocks (i.e. the Glock 43), but it is still possible to use it as a concealed carry weapon. For open carry, I love the BlackHawk Serpa Sportster Paddle Holster. I personally carry my Gen 4 with this holster, because of its retainability. With a simple depression of a button (generally with your index finger), you can release the weapon from the holster for quick access. However, without depressing the button, it’s virtually impossible to remove from its holster. This allows you to retain your weapon in case someone tries to disarm you forcibly. I have what could be considered medium-sized hands for a man in his 20’s. The Gen 4 fit perfectly in my hand without having to use a backstrap, and the built-in finger grooves made it a very comfortable fit. I will be buying a grip sleeve to slide onto the grip, but that’s just for added comfortability during long-term engagements. During my initial 550-round test, I did not use a grip sleeve and it felt just fine without sliding around in my hands. The balance of the Gen 4 seems a bit top-heavy when it’s unloaded. However, when you load a magazine into it, it balances out just fine. While firing, the balance remains true to a thumbs-forward grip. I generally prefer the thumbs-forward grip because it allows me to control the weapon more than any other method. What I love about a well-balanced handgun, is the ability to aim down the sights without having to compensate for a front-heavy feel. The weight was definitely bearable when I engaged targets up to 25 yards away. However, I am in decent shape and I may have a different experience than you. I tested fatigue while holding the Gen 4 in my firing stance while fully loaded (15 rounds in the magazine, plus one in the chamber), and I found that I was able to keep my sight on target for over two minutes without shaking. This is a huge plus for me, because if I need extra time to acquire my target, I need to be confident that I can do so without becoming fatigued. The trigger squeeze was very smooth, and very light (for factory standards). Glocks come with an external integrated trigger safety, meaning that you must depress the trigger safety before the trigger can be engaged. This safety feature is great, in case you accidentally brush the trigger with your finger (or another object) you can trust that it won’t discharge without the safety being engaged. I love how the trigger squeeze is light (5.5lbs), but not too light as to where you can fire when you do not intend to. I didn’t experience any snags while slowly squeezing the trigger, allowing for a surprisingly smooth trigger squeeze all the way until the weapon fired. This is a very important feature, because in order to accurately engage your target, your trigger squeeze must not cause the weapon itself to move. This can cause your round to miss the intended area you’re aiming at (or miss the target altogether). Another great feature I love about the Gen 4, is the trigger reset. Just by feeling it, I can tell you it resets at about the halfway point after you’ve fired a round. This allows you to fire in a rapid succession without having to fully release the trigger before firing another round. The less time you spend squeezing the trigger, the less time it takes to send more accurate rounds down range. Any handgun in the 9x19mm caliber will have a relatively light recoil. The Gen 4 is no different, but the great balancing of the weapon greatly reduced the recoil I felt while shooting it. While firing in a rapid succession, I felt very comfortable with the recoil and was able to reacquire the target quickly after each round that I fired (as you can see in the video). Each grain for the 9x19mm will have a different recoil feel than others. However, with the 115 grain FMJ I could barely feel the recoil. With my arms extended and using a thumbs-forward grip, I was able to absorb most of the recoil in my forearms, making the recoil feel almost non-existent. This is a feature I look for diligently when I look for a new handgun. I love the way the recoil is directed mostly upward (and slightly to the right due to the right twist of the rifling in the barrel), as this allows an easier target acquisition after I fire each round. In this video, I conduct a drill using three magazines with five rounds each at a distance of 7, 10, and 15 meters with the Glock 19 Gen 4. With the first magazine, I fired in a rapid succession into the target’s midsection, with a grouping of less than 5”. I was then informed not to fire more than one round per second (at that range), so with my second magazine I fired five rounds into the target’s head, with a grouping of less than 3” (other than the one round that hit the target’s mouth). With the third and final magazine, I fired five rounds back into the target’s midsection, with a grouping of less than 6”. This drill was conducted after 550 rounds were fired through it in less than 45 minutes. As you can see, the Gen 4 showed no issues and fired flawlessly throughout the drill. I’m no world-class shooter, but you can see how easy it was for me to place 15 well-placed rounds downrange at the fastest pace allowed at that range. I was very impressed with the Gen 4 during my first time using it, and I still am to this day. At first, I had difficulty acquiring my sight picture with the stock sights. However, Glock sights can be replaced with aftermarket sights allowing the user to aim down the sights easier. I personally love the Truglo TFO sights, as they adjust to all types of low-light situations without being seen on the receiving end. I conducted a few mag-change drills, and found that the Gen 4 is very easy to reload. The magazine seats very well into the receiver, and is released easily as well. The magazine release can be switched to the right side of the frame for left-handed shooters, however I recommend leaving it on the left side in case you become injured and an ally needs to use it (most shooters are either ambidextrous, or right-handed). When I conducted my initial 550-round test, I used sub-par Remington 9mm 115gr and it handled the abuse very well. I was surprised when I had no malfunctions, and I can now say that I could depend on this weapon regardless of the brand of ammunition (though, I would treat my weapon to better quality ammunition). Another great feature I love about Glocks, is their loaded chamber indicator. This is a small feature located directly behind the opening of the slide. By sliding your finger over it, you will be able to tell if a round is chambered if the button is sticking out. This enables you to ensure a round is chambered when you carry without having to pull the slide to the rear. I love the comfortability of the Gen 4. The integrated finger grooves fit my hand perfectly, allowing me to shoot comfortably during a speed-shooting drill. I’m confident that the Gen 4 will operate well in real life situations should they present themselves. I didn’t like the time it took to adjust to their sights (however, this is common with any unfamiliar handgun). I also didn’t like the fact that their backstrap didn’t stay attached very well. After a detailed review of the Glock 19 Gen 4, I would definitely recommend it to any future owner. The overall comfortability, along with its durability, dependability, and customizability make it a fantastic EDC or home defense handgun. For self-defense ammunition, I prefer using 147gr JHP (Jacketed Hollow Point) 9mm. Jacketed hollow points are incredibly lethal, and effective for most real-world engagement distances. While the Gen 4 is not easily concealed under a t-shirt, it’s still possible (especially under a sweatshirt or jacket). I wouldn’t recommend buying the Glock 19 Gen 4 for the sole purpose of a concealed carry handgun, but I would highly recommend it for home defense, vehicle carry, or open carry. The Gen 4 fits great into holsters (that are made for it), especially the retention holster I mentioned above. Overall, the Glock 19 Gen 4 is a very impressive striker-fired handgun. I was greatly impressed with how it handled, as well as how it shot over prolonged firing without copious amounts of lubrication. It’s very easy to break down to clean, because it breaks down into four easy to clean parts (slide, frame, recoil spring assembly, and barrel) unless you wish to break it down further. However, you really only need to concentrate on those four major components when conducting routine cleaning. I would recommend the Glock 19 Gen 4 to any prepper, because it’s exceeded every expectation that I have for handguns. 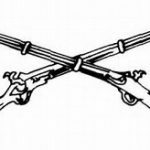 While there are some flaws that I found (and pointed out in this article), it’s nearly impossible to find any weapon that doesn’t have its own flaws. Average cost: $525 before taxes. I wanted to see how dependable my Glock 19 was after the initial break-in period, so I deliberately refused to clean the gun for 3500 rounds, without a single problem. Tired of waiting to clean it, I ended the test. A Glock by any name or number is one to live by!